Continuing from Archie Christie Day Part 2 and started in Archie Christie Day Part 1. See also Remember the name: George Green. The conversation turns to young players at the club that he rates, and how far they can go at City and beyond. For someone who has been at City for such a short time, his level of knowledge of all the players – from first team to junior – is impressive, and one wonders whether previous first team managers would have such a detailed overview of the club. As we tell him the stories of Geoffrey Richmond and the excesses of that era, he is interested but unsurprised having already been filled in by Julian Rhodes. The 1911 Club inside the Main Stand is marketed as a venue for business lunches during the week, but today (1pm) the beautifully decorated restaurant is empty of customers. Julian Rhodes is talking to the Yorkshire Post’s Richard Sutcliffe, with the pair about to head off somewhere so the Chairman can be interviewed. Julian is warm and welcoming to us both, trendily dressed while sporting a pair of beach sandals. “I’ve never seen him without sandals,” quips Christie. In the corner sat reading the paper is another director, Graham Jones; a kind and softly-spoken man who is very friendly as we chat to him for two minutes. There’s a Board meeting at Valley Parade due to start in half an hour, which Christie has to attend. We don’t have much time left with him, so we follow him as he takes us outside into the padded seats that provide a terrific view of Valley Parade. “I’ve not had a beer in Bradford up to now” Christie reveals, as he hands us each a pint that he’s just bought for us from the bar and begins to sip his own. The sun is beating down and the view feels familiar yet always engaging. We talk about recent games and about the potential crowds we could enjoy if the club was to climb back into the Championship. The here and now – getting some results quickly – is clearly vital, but Christie’s ideas and plans are more focused on further down the line. Selling young players is clearly going to be a vital part of that strategy, but Christie doesn’t believe it should detract from the bigger picture. “Dagenham sold three players this year for one million and fifty thousand pounds,” he points out. “Who did we sell? And suddenly he jumps to his feet and leads us back into the 1911 Club, where he’s arranged lunch. It’s a good job we can eat fast, because in no time at all he’s back to work. Past the club shop and beyond the ticket office booths, a small door take us into the Bantams Business Centre where the offices of the joint Chairmen, youth development, finance and other admin staff are based. On the opposite side of the long and narrow corridor are small businesses that are providing vital rental revenue to help the club, and you get the impression City’s own staff will be moved to alternative rooms inside the stadium itself as and when demand for their small-but-homely offices increases. Archie’s office is at the end of the corridor, and around five other staff members share it including the club’s press officer, Mark Harrison. Christie’s desk seems small and humble – amongst the other staff, rather than hidden away on his own in plusher surroundings. He clearly gets on well with everyone as they swap catch up stories, while he logs into his computer to check emails. These emails include a written transfer bid for George Green from a major Premier League club which he needs to print out and take to the Board meeting. He’d quickly spoken to Julian Rhodes about this offer – which had been made on the phone earlier – back in the 1911 club. We were witness to the surprise in Julian’s eyes regarding the bid’s size. The sheer number of letters, emails and DVDs Christie receives from footballers looking for a trial at Bradford City is mind-boggling. CVs run for three or four pages each, coming from players stuck in reserve teams at other League Two clubs to kids knowing they are on their way out of a big Premier League club and in need of a break. And those are just the applications from players in this country. There are others from as far away as Australia. Kath Brown, the club secretary, pops in to finalise the Dominic Rowe paperwork and discuss a range of different queries for Christie to sort out. “When are you back in?” she asks. “Not until next week” is the answer, as he lists the range of tasks he’ll be undertaking around the country on behalf of the club (mostly related to Green and securing the best possible deal for the club in view of the number of clubs chasing him). It seems he does not do days off. And then his phone rings yet again. It was 11:30pm on a Wednesday evening two weeks ago when I – Michael Wood – first talked to Archie Christie about myself and Jason spending a day with him. I was watching some a really bad movie on ITV4, he was still working. That is the first recurrent theme you pick up when dealing with Archie. He works hard – to a level I’ve never seen before in any of the businesses I’ve worked with or for – and he is entirely focused on Bradford City. Only once during the entire day did Christie involve himself in something other than Bradford City – a thirty second call about a problem at his home – and unless directly asked he would not talk about anything other than Bradford City, his plans for the club, and how he intends to achieve those plans. It was startlingly single-minded and it was exactly what I want at Valley Parade. Hard work is a virtue of course but it would be wrong to let you, dear reader, go away with the idea that Christie brings only effort to the club – although do not doubt that he brings that and in abundance. There is an efficacy to Christie’s efforts and an aim to everything he does. During the day we were able to see deals (and other structures) put in place which will help City for years to come and I can put hand on heart and say that without Christie some of those deals – and one especially – would not have happened. Or had it done, would not have happened in the massive way it has. Christie speaks five languages, and has fluency in four of them. “English is the one I’m not fluent in” he jokes in a gnarled Scots brogue. He has built up and sold his own business – retiring at forty – and been a part of £800m deals to sell one company. His last board meeting, before joining City, was with NCP before that multi-million pound sale. At some point one’s cynicism has to admit defeat. Archie Christie does not need Bradford City as much as – and I mean this most sincerely based on ten years of decline and having seen plans coming to fruition in the course the day – Bradford City needs Archie Christie. Which begs the question as to why is he involving himself at all? He could have been a Premier League scout – “I’d be bored” – so he is not looking at moving on. He seems financially well enough off to not need money from the club and does not get any anyway working for expenses as he does. He confirmed that he does not get a commission for selling players, be they Development Squad, youth or first team. When his achievements bubble to the surface – and they have so far – they often do with someone else’s name attached. How to get to the core of a man’s motivations? Why does Mansour bin Zayed Al Nahyan own Manchester City? What does Abramovich get out of Chelsea? Neither make a profit. Why does Sir Alex Ferguson carry on at Manchester United having already done everything he could ever hope to? Why etch your name in stone? The restoration of Bradford City offer someone a great work to carry out which is beyond the scope of what could be offered as a cog in the machine of a Premier League club. No other club in football can match City’s potential while being so obviously in need of new ideas. After watching fifty years of football perhaps Christie just thinks he can do football better. I know I would do it. Swimming lengths and treading water in the shallow end at half seven in the morning we talked to Christie about Carlos Tevez who had refused to play for Manchester City in the week – he was none too complimentary – and later at breakfast in front of the gathering of young players he looked with disdain at the headlines about Titus Bramble. Perhaps that is why he is involved at City. Essentially a blank slate on his arrival, Bradford City offers a chance for someone to build a club almost from new, and to do so in a way which does things the right way. He is that hardest working man. But it is not just an appreciation of the effort which one takes from a day next to Archie Christie – it is the purposefulness of that work, and how utterly convinced we were that what he is doing is absolutely what needs to be done at Bradford City if the club is ever to turn around. The things which I (Michael) have been talking about for the twelve years I’ve been writing this website Christie is doing. Everyone involved with Bradford City since Geoffrey Richmond has talked about wanting to get promotions, wanting to turn the club around, but until Christie none have ever had the objectives to go with those aims. No one has ever convinced me that they know how to do what they are setting out. Until now. It is a great credit to Mark Lawn and Julian Rhodes that they saw Christie and recognised that he could bring to the club what had been lacking in the past decade (and no slight on them) and we applaud them for taking his advice. If, reading this, you are thinking that the acclamation is coming a little too thick, we would appreciate that – without experiencing the day we have – it is not easy to see just how hard working, and smart working, Christie is. You will just have to take our word for it. If you have been waiting for Bradford City to return to direction of the mid-to-late-1990s then the wait is over, or at least I am convinced it is. If you seek to criticise Archie Christie then we’d wonder what you want from a person involved in Bradford City? The man works very hard and – on the basis of what we saw – gets a very good return on that work which without him we would simply not have. And he does it for expenses only, while generating the club in his first three months (by rough maths) enough to pay for the Development Squad five or six times over. Any idea that Christie and his Development Squad cost the club money is a lie. Any idea that Christie had Peter Jackson sacked is a lie. Any idea that Christie is taking money out of the club is a lie. Christie’s origins before Bradford City have an element of mystery in them. There is talk about how much he actually did for Dagenham following some clarifications the Essex club issued, but their manager John Still talked on the phone to us about the long standing relationship the two have had and he was not alone in his admiration for Christie. From City’s young players to our manager to the manager of a top Premier League club to that manager’s chairman. The meshing together of the day told its own story. We could understand people saying that Christie could be difficult to work with by virtue of the fact that in the late afternoon we were shattered and knew that he was carrying on working for another half a dozen hours or more. He demands commitment from the people around him but we have no problem with that, and in fact we’re glad that someone who will not put in that effort finds it hard to work at Valley Parade. Conspicuous by its absence during the whole day was the sense that there was any disharmony around Christie’s role at the club. Director Graham Jones – who we bumped into at Valley Parade – could not speak highly enough calling the job that Christie was doing fantastic. The three young players – when talking about Christie – did so with a genuine affection and did not flinch from saying how much Christie had done for them. Scout Nigel Brown and Youth Supremo Peter Horne both talked about how Christie had given them remits to work and – in the case of Horne – that Christie made his job easier by taking some of the tasks he did not feel he was as well suited to on. We’ve seen with our own eyes what Archie Christie is doing for Bradford City, and in turn for us supporters, and we could not fail to be impressed. Third bottom of the Football League, no win in six games and we have reason to be optimistic. In addition to thanking Archie Christie for being so welcoming and open to Michael and Jason, BfB would also like to thank everyone else who kindly took the time to speak to us over the course of the day. In particular this includes Andrew Burns, Scott Brown, Terry Dixon, Peter Horne, Alex Llevak, Steve Parkin, Phil Parkinson, Nigel Brown, Julian Rhodes, Graham Jones and also the staff who share an office with Archie. Everyone we talked to we were given the chance to talk to without Archie Christie being present and everyone we talked to was as open as you could hope for. There is a level of privacy which had to be respected but that was not especially stringent or out of keeping with any professional environment. More about Archie Christie, Carlos Tevez, Craig Thompson, Dagenham & Redbridge, Graham Jones, Jake Speight, Julian Rhodes, Mark Lawn, Richard Sutcliffe, The Development Squad, Woodhouse Grove. Jake Speight is expected to sign for Dean Saunders’ Wrexham today completing a single season at Valley Parade and allowing Peter Jackson to continue building a new squad. Speight signed for Peter Taylor’s Bantam for the princely sum of £25,000 but soon after was convicted of an assault charge he had not informed the club about. This infraction set Speight’s career at the club off negatively and from that, for some supporters, he never recovered. The lack of goals – and chances – through the side also weighed on the player although one might point to his willingness to work hard and cover ground on the field as a mitigation of those problems. Whatever the failings of Bradford City last season they were not owing to a lack of effort from Jake Speight. Speight drops down a division to join former City striker Saunders’ side for an undisclosed fee. Ross Hannah takes Speight’s place in the hopes of City fans that the next strikers will be the right striker. More about Dean Saunders, Jake Speight, Wrexham. There is so much to trouble the mind and soul related to Bradford City at the moment, but at 3pm Saturday there was a reminder – however unwelcome – of what’s really important. There is a football match taking place at Valley Parade. Not the most noteworthy game occurring around the country today, but between 3 and 5pm it is the be all and end all for us. Fretting about winning, fretting about the players’ effort levels, fretting about a horrendous scoreline and performance. Today is not a good day, but the weekly soap opera of trying to win football matches is everything that matters. Our purpose. The other stuff just gets in the way. There is what could be the last ever football match taking place at Valley Parade. It feels strange walking up to and entering the ground, trying to mentally train yourself to appreciate what could be your last proper visit to your second home. Your last time through the turnstiles? Possibly. Your last time walking to your seat? Possibly. If this later proves to be it, maybe not knowing now is for the best. It would be so emotional to be here realising it definitely was for the final time; we would hardly be able to bring ourselves to leave. There is perspective offered to the current worries by a minute’s silence to remember the Valley Parade fire of 26 years ago, just before kick off. Fitting that the 56 people are remembered if this is the final ever game at Valley Parade, but also a reminder of how reluctant we should be to leave the scene of such tragedy. I was only four years old – and living in Wales – when the fire occurred, so it’s not something I feel I have the right to write about. But as people argue City shouldn’t allow those terrible events to prevent us from moving, it strikes me that – having been so determined to rebuild and return to Valley Parade in the wake of 1985, with such strong emotion involved – giving up our home now because of a squabble with the landlord seems somewhat ill-fitting to the memories of the 56. There is moaning 11 seconds into the game – surely a new record, even after this last decade. The kick off is messed up by the players, and the outrage at their efforts and level of ability begins in earnest. Still it’s normal, and while not to mine and other’s tastes a reassuring kind of normal. Debating the merits of Jake Speight up front, questioning the suitability of Lee Bullock as centre back. Normal. The kind of discussions and reactions taking place in football grounds up and down the country. As we look set to spend the next few weeks fretting about financial matters, moaning about Omar Daley’s effort levels is a welcome relief. There is a goal to Crewe inside 12 minutes. City had started the game okay, but then give the ball away in a bad position and Shaun Miller races clean through on goal and past the recalled Jon McLaughlin, before tapping into the net. Crewe, like City, have nothing to play for aside from ensuring departing striker Clayton Donaldson ends the season with the League Two Golden Boot trophy. As the players celebrate, Donaldson – who had already tried a couple of shots from ridiculous angles – looks upset and one of his team-mates has a word. Miller had done the work, but Donaldson, it seemed, wanted his strike partner to allow him to slot the ball home. Great team player. There is some resistance from City, initially at least. Speight has a drive at goal parried by Rhys Taylor, and a struggling-for-form James Hanson can only fire the loose ball against the angle of post and crossbar. Minutes later Hanson passes up another chance, and his growing army of critics in the stands are fearful in their abuse. “Get back to the Co-op” they yell at last season’s player of the year. Last season’s David Syers, if you will. Once looked upon as a solution, Hanson is now apparently part of the problem. There is the occasional positive from this dreadful season. Syers harries for possession and plays Speight through on goal. Just as he’s about to pull the trigger he is pushed over by a Crewe defender for a penalty he then converts. The last ever Valley Parade goal by a City player? Possibly. Three goals in five games for Speight now, a decent end to the season. But the real hero was Syers, a player to build next season’s team around. There is applause at regular intervals. Applause for McLaughlin when he tips over a long-range piledriver. Applause for full debutant Dominic Rowe after cutting inside and hitting a low shot that has to be palmed out by Taylor. Then applause for Crewe’s lethal counter attack from the resultant City corner, which sees Bryon Moore race down the flank and play Miller in to score. Whatever your views on the way we City fans get behind our own, that sporting nature within us to applaud wonderful opposition goals and pieces of play is something we should be proud of. I guess you could say we get plenty of practice. There is a brilliance about the visitors and how they pass the ball around. Since attending the 2-1 loss at Gresty Road last January, I’ve retained a view that Crewe – on their day – are the best team in League Two. They should have done better than the 10th place they finish, as they rip City apart time and time again. No one is picking up Moore, who is running the game and laying on numerous chances for the dangerous Miller and Donaldson. 90 seconds after going 2-1 up, Donaldson gets that goal he wanted so badly – sealing the Golden Boot. A Bradford lad of course, but this is one piece of sporting excellence we all struggle to share pride in. His 28 goals are one more than City have managed in total at home all season. If only he hadn’t left City at 15. If only. There is a growing sense of embarrassment. Danny Shelly has a goal ruled out for handball, but then scores legally right on half time with a shot McLaughlin should save. At half time – the last ever half time at Valley Parade? Possibly – the boos ring out and the reception from fans in the Bradford End in particular looks nasty. Part outclassed, part lacking in effort – the players looked beleaguered. They’re not bad people, but as a team too many individuals are unwilling to truly put their bodies on the line and the rest are letting them get away with it. There is a white flag waved from the home dugout. Peter Jackson addresses the issue of his midfield being overrun by hauling off Hanson and Daley and pushing Alex Flett and Luke O’Brien into midfield, but it’s a negative move aimed only at limiting the damage. City know they are beaten and go through the motions. Only Rowe offers us something to cheer with a series of promising runs at defenders which hint at self-confidence soaring. Flett works hard too, and City become better at retaining the ball. Still, with 45 minutes to go we’re just playing out time. There is only one more goal, a second for Shelly following a scramble and initial save from McLaughlin. 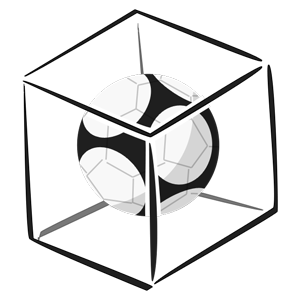 The ball somehow bounces through a crowd of bodies and into the bottom corner. The last ever goal at Valley Parade? Possibly. It’s hardly a moment of beauty, but one that arguably best reflects the 108 years of struggle and under-achievement that Valley Parade has been home to. There is a mass exodus of people from the ground once the fifth goes in, despite 23 minutes to play. The last 23 minutes of football ever at Valley Parade? Possibly. Anger has been replaced by resignation and black humour, with sarcastic cheers for successful passes and, when City cross the half way line, cries of “shoot”. O’Brien eventually obliges with a shot from the edge of the box; it’s tame and easily held. Someone else gets up to leave, joking to us all “see you at Odsal”. No one laughs. There is a mixture of almighty groans and laughter when Rowe’s low cross into the box looks perfect for Speight to tap home, only for him to miss the ball and fall over. Before Speight’s backside has smacked the grass, the usually patient family who sit in front of me head for the exit. A odd way for the 2010/11 season to end for them really, watching our £25k striker fall on his arse. You can imagine spending the summer playing it over and over again in your mind. It probably sums up the entire campaign. There is no pitch invasion at the end, as an army of stewards block every route from the stands to the turf. Even allowing for the pointlessness of previous seasons pitch invasions, it would have been ridiculous for anyone to have wanted to bother. The Crewe players are given a standing ovation by City fans. The ground empties quickly, and a few hundred of us stay for the players’ lap of appreciation. All week on message boards, people like me – who like to clap the players at the end of the season regardless – have been slagged off for being willing to applaud failure. But it’s our choice, and you don’t have to stay. A fear of a protest booing against the players grows as we wait for them to come out, but in the end it seems those sufficiently outraged are already on their way home. There is a quietness to the lap of appreciation. The players look a little embarrassed, with good reason of course. But the outfits most are wearing offer some symbolism over the failings of others. They’re wearing suits, those damn suits that at the start of the season City were proudly declaring on their own website were a wonderful thing, “In order not to let down Peter (Taylor’s) required standards.” Quick fixes, gimmicky ideas, yesterday’s answers. There is a dignity to Jackson all afternoon. This is not his team, but they might just have cost him the manager’s job for next season. He is emotional during his two local radio interviews, but passionate about staying. Possibly shown up tactically today, I nevertheless hope he gets the job because he deserves the opportunity to show what he could really do. There is a relief the season is over. As the players head to the dressing room we take a long lingering look around Valley Parade – our last ever glimpse of this view? Possibly – before heading out into the summer’s night observing City fans shaking hands with Crewe supporters and congratulating them for their brilliant team. Before getting into the car and switching between BBC Radio Leeds and the Pulse talking about the rent problem. Before spending the next few weeks and months anxiously checking for news on City’s future. Before eventually, hopefully, being able to look forward to next season with genuine hope rather than fear. There is so much we don’t know, but there is one thing I can be sure of. I’m City till I die. More about 2010/2011, Alex Flett, Bryon Moore, Clayton Donaldson, Crewe, David Syers, Dominic Rowe, Jake Speight, James Hanson, League Two, Luke O'Brien, Peter Jackson, Shaun Miller, Valley Parade. Thirty years ago if you were a member of St Anthony’s Primary School football team – or the brother of a member who’s Dad drove kids to games – then as a reward for a season of not much return you were given the chance to go watch Bradford City’s last game of the 1980/81 season as the Bantams took on Hereford United. That was my introduction to Bradford City, and there is a certain symmetry to this afternoon’s entertainment as the Bantams travel to Edgar Street to meet Hereford United. The first game was a scrappy end of season affair – although at the time an impressive watch – where the visitors nicked a 1-0 win. Today a point for both teams would have secured League football for both next season and unsurprisingly a point each was the return. Unsurprisingly because the home side set out to secure such a return trying to retain possession as far back the field as they could for as long as they could seldom venturing into the Bantams penalty area. The illusion was a strange one. It seemed like City were penning in Hereford and certainly the Bantams were enjoying playing with a sense of freedom that allowed the likes of David Syers – playing central midfield well – and Gareth Evans to lash at goal following James Hanson’s early attempt which threatened to derail the Bull’s afternoon. The Bulls afternoon though was taking place miles away at the Crown Ground, Accrington where Barnet played Stanley. The machinations of that game seemed to tilt to this. Barnet level at 1-1 and there was a nervousness in the home side’s play but that nervousness lifted as Accrington took a lead which proved decisive. That took until the second half and after the first forty five minutes the scorelessness seemed like a fog never to lift. The Bantams were unthreatened – Joe Colbeck was given the reception by the visiting fans one would expect but that seemed to serve to suggest he was more dangerous than he was and while no one especially enjoys hearing themselves abuse the look on Colbeck’s face as he banged a cross into the middle which was attacked by nobody looked more like distraction than upset. If a winger putting in crosses for no one makes a wonderfully illustrative example of the game then City’s striker with no crosses seems to make another. James Hanson – at times – seems to never lose a ball in the air and one wonders what he could have done with the type of accurate crossing that Colbeck could do, and that the likes of Nick Summerbee and Peter Beagrie did. Colbeck’s time at City – and his time since he left and the schadenfreude some City fans seemed to follow it with – sends my mind back sprawling to that first game on the 15th of May 1981 and how football has changed since then. Thirty years allows a guy the chance to reflect and that reflection is in the level of hope which used to be the currency and how that has been replaced with an unsavoury expectation. Reading articles about the Bantams last decade you often read the phrase “ten years of failure” and while this is true from the prevalent point of view that anything other than promotion is failure but watching this last decade they were no different to many of the two which proceeded it. Consider – if you will – the 1996/97 season of Chris Waddle and Edinho where relegation was avoided on the final day of the season. What we had that year was built on the next. That season of struggle Chris Kamara signed players like Robbie Blake and Jon Dreyer who were on the pitch two years later at Wolves when the Bantams were promoted to the Premiership. No one ever said that finishing 21st was a roaring success that season but no one ever lambasted all involved as failures either and after that season lessons were learnt that drew a line directly to the successes which followed. 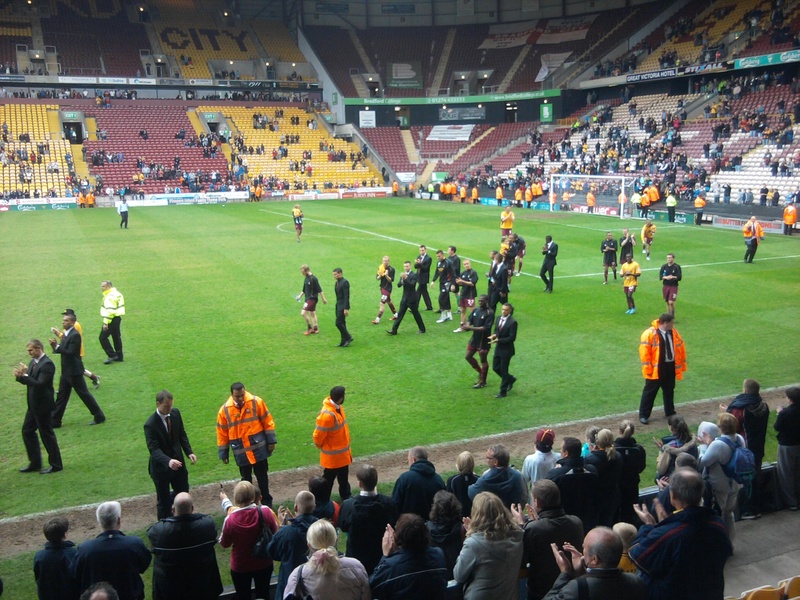 At some point after that failure started to describe anything which not success – this is semantics – and the rhetoric is that the club and supporters demand the best and should have high aims lest they achieve nothing but the practical upshot of throwing the word failure at anything which has not been promotion over the last decade is that Bradford City systematically rip the club apart over the course of every summer, throw things in the air and see where they land. Failure – finding it wherever it can be hinted at – is the obsession of the current football mindset from top to bottom to such an extent that progress along the path to success is talked of as being it. Those who run football clubs need to be strong and need to stress that if the right things are being done then those things will not be changed because they have not come to fruition yet. Are Bradford City at present on this path? You will judge for yourself on that, dear reader, just as you will also have a view on the merits and effectiveness of addressing the “failures” of Colin Todd, or Stuart McCall, and how the attempts to deal with those so called “failures” have brought us to the position we are in now. Would City have been any worse if Colbeck – squarely presented as a problem and the cause of failure – had remained at the club? Would the last few years have been so different had Danny Forrest been up front? Has the season on season change of right backs produced a player more effective than Gareth Edds or has it just given us a series of different players? Different players who have the same problems and ultimately exit in the same way and we – as a club and as supporters – relinquish our responsibly for the impact of that. The justification for replacing players is that those players seldom go on to a higher level following their time at the club as if the confidence lost, the access to a better standard of coaching lost, the experience of playing league football lost has no impact on the (lack of) progression of those players. Joe Colbeck wanders up and down the Hereford United wing on one side, Gareth Evans on the City wing on the other, both look like players who seem on the edge of dropping out of professional football not because they are not useful, or skilled, or have potential but just to appease a desire to smash up what is there in the name of not tolerating failure but with the effect of not allowing building. I think back to Robbie Blake and his goal at Wolves in another final away game of the season and how many times – had the current attitude in football been the way of thinking then – he would have been bounced out of Valley Parade rather than being allowed to be a part of a team which matured. In thirty years between two games with Hereford United expectation has overcome hope. Everything about Bradford City is about the expectation that better can be demanded. It used to be that better was hoped for, but if that hope failed then it was renewed over the summer. This is only important because in the times of hope, rather than expectations, things improved more often. What do we have in the summer? Hope or expectation? Or neither? Peter Jackson took his Bradford City team to Hereford United looking for a point to keep League Two status secure – a modest return – and Hereford’s Jamie Pitman had the same aim which once results started to fall into place bound the teams to a defensive display a little less. Both ended the day safe from relegation with Barnet’s defeat seeing them battle Lincoln City to stay in the division. Stockport County were relegated. Ultimately – at Edgar Street – James Hanson proved too much of a handful for home defender Stefan Stam and after he was fouled Jake Speight scored a penalty with ten minutes on the clock. Stuart Fleetwood equalised a few minutes later with a great free kick. That shot was the home side’s only attempt on target of the afternoon but it was the draw that everyone seemed happy with. For the summer though who can tell. Over the last thirty years – and specifically the last decade or so – football’s expectation level has outstripped its ability to bring enjoyment in a great many ways. Supporting was its own reward, but now all rewards are delayed until there is a manifestation of success. Goals are cheered, wins are welcomed, promotions are celebrated but anything other than those things – and including the build up to those things – are drawn out grimly. Football League safety is assure and the summer yawns out ahead with its own troubles and with that the idea that the unifying mood in August will be one of hope seems very, very far away and utterly old fashioned. More about Accrington Stanley, Barnet, Chris Kamara, Chris Waddle, Edinho, Gareth Edds, Gareth Evans, Hereford United, Jake Speight, James Hanson, Joe Colbeck, Nick Summerbee, Peter Beagrie, Stefan Stam, Stockport County, Stuart Fleetwood. David Syers met the ball and headed it firmly into the back of Aldershot Town’s goal. I stood and raised two hands in the air and I heard sounds around me but I made no sound. A contrast then. Within the first five minutes of City’s penultimate home game of the season City pressed well and Omar Daley won a throw in on the left wing. Robbie Threlfall acted quickly taking the throw from some way back and feeding Daley. There is something about Daley which divides people – or so popular thinking goes – but there is no division when the Jamaican winger takes the ball forward. People might say pass when they see Omar heading towards goal and the certainly say it after an aborted forward thrust but when he is on the ball I’d wager that everyone wants the same thing. The skip forward, the drag inside, the look up, the shot from twenty five yards out that arcs past a poorly positioned Aldershot keeper Jamie Young and into the far corner of the goal. It is the goal anyone would want to score and when it ripples the goal there is an burst of relief audible and loud. Everyone on their feet, everyone cheering, everyone as one. It is times like that as Daley skids to a cheering slide and is mobbed that football is at its best. Stay in the moment. The explosion of joy, the happiness. The weeks of following Bradford City have been grim but the moments on a Saturday justify those. From then on it is all Bradford City coming forward with the sort of gusto that a confident team does. Michael Flynn prompted from midfield, Daley looked threatening but everyone wanted the ball and it seemed that that willingness would bring a second goal. James Hanson hit a long range effort that beat Young and bounced back into play from the post only for Jake Speight to catch the follow up with his knees and spur the chance. Young performed better, saving a header from Luke Oliver following an Omar Daley corner, but ever corner which came over from the Bantams was battled between strikers and defenders. Young came for not one. This would prove conclusive. Not conclusive but seemingly so was the moment though when Aldershot burst down the left flank following a Lewis Hunt overlap. Michael Flynn tracked back and a sudden snap was obvious as the Welshman’s hand reached to his right thigh. Right leg lame, left leg darts out to take the ball in a tackle taking the ball. Flynn prostrate on the turf, probably his last kick of the season, maybe his last kick for the club, but he made the tackle. Outside of football the loudest sound I make is waking up at night with a cramp. That requires Mrs Wood to be awoken and sympathy give. One leg goes, the other tackles. Michael Flynn limps away to the sound of his name being sung. It is the lack of that sort of personal effort which has put City into the position we are in. For a team of Michael Flynn. Flynn’s absence saw Gareth Evans come on and David Syers move to central midfield. Evans is chunked to the ground in an attacking move and the ball attacks the weakened right hand side allowing Peter Vincenti to equalise. It is one of a series of decisions which referee Mathieson allows creating a kind of Wild West atmosphere on the field. Tackles are hard and some use two feet. Gary Charles – one of the best defenders in League Two – pulls down Speight as he runs towards goal and is not cautioned when a red card seems the only option. Speight gets involved with defenders with pushing and shoving but no discipline. Both teams are lucky that Mathieson’s approach to refereeing does not leave them with injuries and one tackle that stamped into Jon Worthington seemed to be worth a red card. Worthington is struggling though. Two games in three days seem to have sapped his energy and Syers is carrying much of the weight of the midfield. Evans and Daley put in effort for different awards. Daley jinks forward beating two men with a step over flick on which gets you to the edge of the seat, Evans makes mistakes but taps on a reserve missing for the last few weeks and keeps going. Results ping around the ground. Barnet are winning, the they are not. Burton are ahead of us and then they are not and for a moment the mental image of Howard Wilkinson eating his dinner as Leeds won the 1992 Championship came to mind. Control what you can control, filter out what you cannot. But there is a nervousness. Lenny Pidgeley is not over employed but there seems to a worry that Aldershot Town – nothing much to play for – have something in store for City. David Syers is booked. He has stepped up to a level of performance which carries the team. A real central midfield display of which one can only admire. A year ago he was a non-league footballer. Today he graduated. Syers performance won the game but the performance as a team was excellent. Individual players taking responsibility for the collective performance. Syers gave City the steel and with that steel City took the midfield battle and – just – won it. A free kick driven towards goal by Robbie Threlfall and Young excelled himself with a save. Gareth Evans hit the corner true and Syers heads the ball heading it firmly into the Aldershot goal just as the clock ticks into injury time. I hear noise around me but I am alone in my silence. In fifteen minutes the adrenaline kicks in and I start to rabbit to the people I’m walking back to the car with. The game ends an age later and City have 51 points. There are mathematics which mean City could be relegated but they are slight and City are probably safe. Superb performance from David Syers, brilliant goal from Omar Daley. Individuals taking responsibility for their own performance, and the performance of the team. The I, as in team. More about Aldershot Town, Barnet, Burton Albion, David Syers, Gareth Evans, Gary Charles, Howard Wilkinson, Jake Speight, James Hanson, Jamie Young, Lenny Pidgeley, Luke Oliver, Michael Flynn, Omar Daley, Peter Vincenti, Robbie Threlfall, S W Mathieson. “Love the club, hate the team” or so went the special demotivational chant as City played Southend United on Friday night and its is almost impossible not to suggest that both players and supporters put in the level of effort that befit the result. Which is not to criticise anyone who went down to Southend United for Bradford City – both players and fans were on the road for twelve hours that day – but that while some things in life are about the journey others are about what you do when you reach the destination and in terms of achieving a result it could hardly be said that either excelled. It is said that one of the City players at the end of the game as he was “in debate” with a supporter colourfully told him – as a retort to something equally colourful – that he cared not about the abuse because he would not be at the club next season. No more dog poo training pitch, no more hostile crowds, no more ludicrous level of expectation, no more revolving door on the manager’s office, no more seeing good players dropped for loanees, no more having the chairman tell people that you have under performed despite all the things listed. One can imagine that if you really hated the team the best punishment might be to trigger one of those contract extensions. Which is only half in jest. While being a professional football is – no doubt – a superb job most of the time but like any job the minutia of it grinds and that grind must be apparent when after being dragged to and from Southend in a day the only thing to look forward to is more of the same. Certainly looking at Bradford City and they way that the club chooses to direct its resources would hardly fill you with anticipation that next season would be any better. The club’s public position is that it has no money so there are no improvements in the offing and there is a tendency for the promises made one minute to be broken the next. Lewis Hunt is not involved at the moment, and as a player you will have your own views on that. You might also recall signing for a club which talked about having overnight stays which – seemingly – were not needed for Southend despite one assumes being budgeted for at the start of the season. Against this backdrop the only real prospect of improvement is not from the club but from the players working together and summoning the individual character to improve and – in short – there is very little reason for them to do that. With many five game away from being out of work the motivation to put a foot in where it hurts (and by hurts one could say “leaves injured to make a trail for someone else in the summer impossible”) must be very low. Such is the situation the players – and by extension the club – finds itself in. Fighting for Fourth Division survival with an army of near de-mob mercenaries. If we do have a club next season I do hope we stop this obsession football has with the season long contract and start giving players good, long, proper deals. To get loyalty, you have to give loyalty. One wonders what loyalty Omar Daley will have left. Daley is out of contract at the end of the season and needs to impress with Rotherham United seemingly changed direction from the management which signed him two months ago and City being without a manager who can be sure of being in the big chair next season. The idea that he might be going to one of the Scottish Cup finalists lingers. Daley will return to the City team on the left wing as Peter Jackson looks to recall the walking wounded for the game against Burton Albion which is being billed – somewhat curiously – as giving the winner a safe place in League Two next season. The game is part of a good season for Burton which was ruined by games called off and the team has struggled with the arduous games in hand catch up of which this is the final one. The games in hand which people thought would propel them up the league have not and they hover nervously above the drop. City hover above them, but are still nervous. Jackson – who seems to see his hopes of being City’s full time manager evaporate in front of him – is tasked with getting the performance that has been lacking from his previous two matches and will try get the spark from Daley which has been lacking. Daley is expected to be on the left wing opposite Gareth Evans on the right but he could be deployed on the other flank, or up front. However the Daley and Evans with Jon Worthington and David Syers in the middle seems to best suit Jackson’s style of play with Michael Flynn up front alongside the also returning James Hanson. Jackson’s dropping of A in a quest for more goals seems to have failed drastically. The replacements have looked no more likely to score than the maligned forward but the ball has spent less time in the final third. Likewise the decision to drop Lewis Hunt is probably not the only factor in the seven concessions in two games but the disturbance to what was a decent defensive unit has helped not one jot. Lee Bullock and Luke O’Brien have suffered at right back and Jackson is left looking at youngster Adam Robinson making his debut or someone else filling in. Steve Williams is back to partner Luke Oliver and O’Brien is expected back at left back. A win will move City to fifty points – since two teams started to be relegated from League Two no club has gone down with that many – but only twice have teams with 47 points been relegated in those eight years which is motivation for Burton who would reach that total. One wonders how Burton’s fans think of their club, and if they hate their players. Note No comments on this. We have no time to moderate them during the day and after the game comments are best directed at the report. More about Adam Robinson, Burton Albion, David Syers, Gareth Evans, Jake Speight, James Hanson, Jon McLaughlin, Jon Worthington, Lee Bullock, Lewis Hunt, Luke O'Brien, Luke Oliver, Michael Flynn, Omar Daley, Peter Jackson, Steve Williams. If Bradford City are confident going into the Friday night game with Southend United then one might wonder why David Baldwin – when talking about the £1 entry into Tuesday night’s game with Burton Albion – described the match as a “six pointer”. City need a win between now and the end of the season to ensure League Two safety – although even without that win the teams below would have to outperform many a previous year – but it seems that that win will be the six pointer of Burton and not the evening in Essex. Nevertheless the club are sure of a win – seemingly – with Mark Lawn talking about how City cannot afford to keep paying for Valley Parade in League Two when discussing the possibility of leaving the club’s home which is owned (in part) by former chairman Gordon Gibb. Lawn is seeking negotiations with Gibb and with Development Securities who own the offices in the hope of getting the £700,000 a year rent reduced. How much one might realistically expect to get knocked off that figure is questionable but if one assumed City could get a 10% reduction when in this division the £70,000 seen gets swallowed up by player costs. Is is worth leaving our home over a sum which equals one Tommy Doherty for a season? Certainly Mark Lawn believes so giving City two years at the current status quo. Nevertheless Lawn seems to be prepared to talk about City being in League Two next season and so – one assumes – he believes that that win will come. Certainly the club is showing enough faith to be able to forgo using recognised right back Lewis Hunt and watching Lee Bullock trying to play the role and giving away a goal last week one might wonder how the club have the hubris to do such a thing. If the club are worried about relegation – seriously worried – then weakening the side seems massively counter productive leading one to think that while the talk is of six pointers and so on the belief is that next season will be another season of football in the lowest division. City go to Roots Hall to find a Southend United team expecting the same. The Essex club are staying at this level and wind the season down having not achieved all they would like on their return to the bottom division. Peter Jackson – who we are told is one of two names in for the job along with Essex rival Dag & Red manager John Still – takes his City team into the game with changes afoot. Jon McLauglin is expected to retain his place in goal but Lee Bullock seems set to make way for 18 year old Adam Robinson to make his debut at right back. Robinson was promoted from the reserves and has a chance to make a play for Hunt’s position as second strong right back for next season. The rights and wrongs of the Hunt situation aside if financial reasons push City towards being forced to use our young players rather than bringing in players for cover that could be no bad thing. Luke Oliver and Steve Williams are expected to be the central defensive pairing with Luke O’Brien returning to left back and Robbie Threlfall being dropped. The midfield is without Michael Flynn – once more in the forward line – so David Syers will get a chance to partner Jon Worthington again and will hope to make a better fist of his performance while Leon Osbourne seems set get the call on the left. The right hand side is more questionable with Gareth Evans choking in his chance to lead the line and seeming set for being out of his ear but for the injury to James Hanson. Evans may feature on the right should he not be used up front. Without Hanson and Evans Jake Speight is likely to be paired with Michael Flynn. More about Adam Robinson, David Baldwin, Gareth Evans, Jake Speight, James Hanson, Jon Worthington, Lewis Hunt, Luke Oliver, Mark Lawn, Robbie Threlfall, Steve Williams.